In the late 1960s, Naxal movement started in the ‘Naxalbari‘ village of West Bengal as a protest against oppression of landless peasants by landlords. Naxal is a movement started by peasantry against their exploitation. However over a period of time naxalism has attained notoriety of a violent exploitative cult. It thrives on abduction, extortion and fear. On 11th May 2014, 11 Central Reserve Police Force (CRPF) men, four district police and one civilian were killed in Sukma Maoist attack. 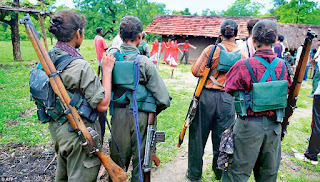 Maoists who are considered to be as a part of Naxalism, fighting for the oppressed people are behind this attack. This attack has again given rise to all the political drama and blame game. India’s development paradigm pursued since Independence led to commercialisation of forest resources, reducing the traditional access to forest produce. Besides destroying their natural environment, mining-based industries and the construction of large dams caused wide-scale displacement of the tribals. In the late 1990s, privatisation and economic development were the main agenda for the ruling parties like the BJP and Congress. On the other hand, one of the major wings of Naxalism movement, the CPI-Maoist tried to keep the struggle alive on behalf of workers, rural poor and the lower middle classes who suffered tremendously and, largely, silently in the name of economic reforms. The Communist Party of India (Marxist- Leninist) which was formed in 1969 advocated armed struggle and condemned participation in parliamentary elections and work in mass movements. In spite of the government laying down a clear plan to tackle the left-wing extremism like launching a Police Modernization Scheme in areas affected by Naxal movements, the bill for safeguarding land rights introduced by the UPA, etc which were all modest measures in the right direction, the local elites still continued to manipulate the Panchayati Raj structures, as it was noticed. Such a move gave fuel to the already ignited fire to the tribals to start the Naxalism movement. 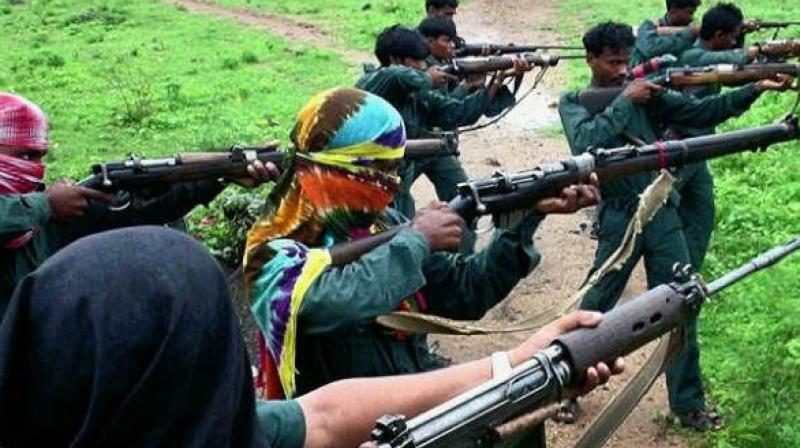 The police and paramilitary organisations’ approach to the ‘Naxalite’ problem exposed weakness within state governments. Various state governments, from time to time, banned Maoist outfits, without developing any consistent policy to deal with such elements. Without understanding their needs and issues, such bans, along with preventive detention or anti-terror laws that allowed the police to come down heavily on such groups, created a feeling of unrest amongst the Naxals. Decades of unrest in Naxal areas of Chattisgarh, Odisha, Bihar, Andhra Pradesh, West Bengal, Madhya Pradesh, Uttar Pradesh, Maharastra and Telangana. Many Police, Naxals and commoners died in the fights between Naxals and the government. 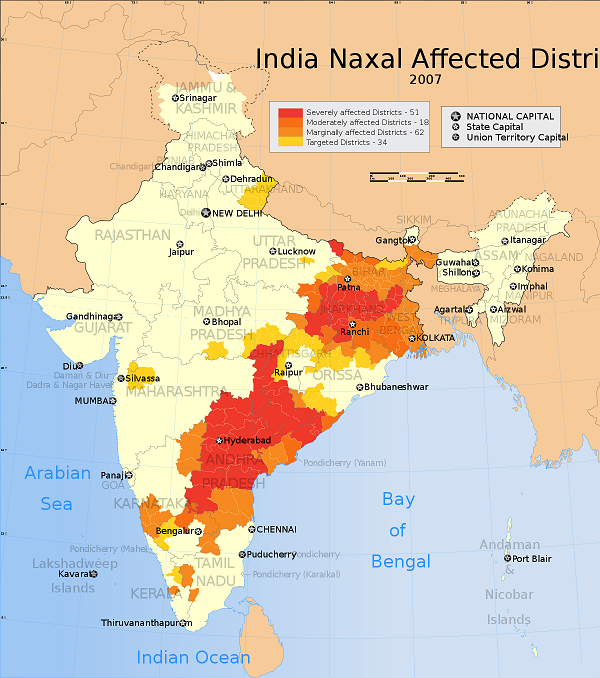 Areas affected by Naxalism remained underdeveloped due to the clashes between Naxals and the government. Vested interests using Naxal movement to overthrow government and is creating more violence. What's a better solution to Naxalism? Naxalites cane into existence to support the peasants, against landlords and weaker section of the society against landlords and moneylenders. If the government makes efforts to invite Maoists to the dialogue table then things can take a turn for change. Government should make efforts to help LWE States reap the benefits of social, political and economic growth. Socio-economic alienation with economic and political inequality will not be eliminated by force. Force can result in temporary settlement but cannot bring long term stability in the troubled areas. Force is merely a tool for damage control. The basic needs for which Naxalites started their fight cannot be ignored. The gap that exists between the rich and poor has not only resulted in the formation of Naxalites but has also given rise to the higher percentage of inequality in the entire country. Problem is with the system. We don’t think anyone wants to eliminate the whole system of India. They want justice and that is why they have opened their own courts called Jan Adalat. What made them do so when they can solve the matters through judiciary system? Perhaps the denial of justice from the system end resulted in Jan Adalat. Naxalites are said to be the group who helps the weaker section of society. Well till this date what we have all read is about the harm that has been done to the local people. All these issues and the use of force only is a medium for the politicians to blame the ruling parties and create a drama to lure the vote bank in their favor. How can inclusive development change their intentions when they have taken the responsibility to destroy all the developments happening in country? Defensive and offensive action is the call of time. Naxalites, the people favoring the poor, are really doing a great job now by suppressing, extorting and dominating the lives of the weaker section who they claim to represent in the name of providing justice. Today there are many common people who call Naxalites as terrorists. And they have a point. The Naxals have failed to distinguish between innocents and criminals. They have become deadly criminals involved in killing, extortion, kidnapping, taking hostages or disrupting railways or any other clandestine operation. If they don’t want power then why do they want to extend the area they control popularly known as Red Corridor. Still many tribal areas are underdeveloped and are deprived of basic infrastructure. Government should take measures to improve the infrastructure in those areas and needs to create livelihood opportunities. Government should provide them access to forest resources. Their traditional knowledge on forest resources help our economy as well. Displaced people due to developmental projects need to rehabilitated well. After rehabilitation, they should be provided with sustainable livelihoods. Dileep Singh Bhuria’s committe recommended that 50% of the ownership of developmental projects must be assigned to the local people. This needs to be implemented. We lost 2 more soldiers..its very sad,we are not able to resolve this problem till now.